McLean, VA, June 21, 2016 — Corcentric™, a provider of cloud-based financial process automation solutions, today released its new white paper written by the Institute of Finance and Management (IOFM), titled “How Closed-Loop Commerce Networks Transform the Order-to Cash Cycle.” This research, based on a 2015 survey by IOFM, shows how as businesses are increasingly focused on accelerating cash flow, the continued reliance on manual processes creates friction across the Order-to-Cash (O2C) cycle. 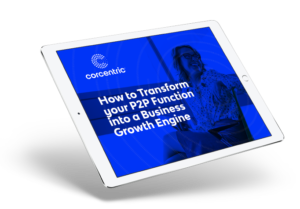 The white paper details the features to look for in a closed-loop B2B commerce network. In addition, the paper showcases how suppliers can use a network to reduce costs, accelerate cash flow and enhance financial visibility. Modernizing these networks through Accounts Receivable automation can help businesses streamline O2C processes. Nearly half of large corporations receive payments from other businesses mainly as checks, according to the Remittance Coalition, and 49.7 percent of businesses use spreadsheets to reconcile their accounts receivable. Through manual, time consuming and error-prone processes, these organizations are losing out on the vast efficiencies the latest technology advancements provide.